So that now you have purchased your brand new high quality diploma, you should think about storing it, and protecting in a proper way. To do this you must get yourself a quality Diploma Cover. These diploma covers not only protect you diploma, but it also makes a good impression when you are going to interviews. It shows that you have respects towards your diploma or degree and the college or university you attended. It will help to promote you as a more professional individual. Diploma covers provide an expression of timeless beauty as well as an important function of protecting your precious documents. After all you have worked hard for your diploma or degree, or you may have paid a lot for a fake college diploma, and you wouldn’t want it to get damaged or destroyed. All your hard work and hard earned money will be washed down the drain. Even a small smudge of dirt, or a wayward ink stain, will make your certificate worthless. More than that, it will give a bad impression to all those who see it in that condition. It must be your responsibility to protect your diploma or degree certificate from getting damaged. The best option for doing that is to put your diploma certificate in a diploma cover. We understand your need, and that is why we have decided to help you out, by offering our own Diploma Covers for your convenience. It is this drive that led us to identify different needs faced by our customers who buy our fake diplomas, and find ways to help them resolve them. Our research has shown that there is a need for good quality diploma covers by our clients. Hence our new section focusing on Diploma covers is introduced. 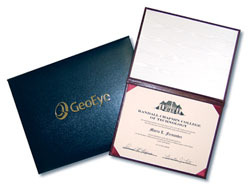 Our diploma covers are made to match the highest quality standards possible. They all have the look and feel of the finest smooth-grained leather with a nicely padded leatherette exterior. Both of the interior surfaces are lined with silk moiré patterns. All come with protective acetate covers and tissues to hold your certificate, which is easy to use and provides additional protection. Furthermore they come with full ribbon corners. They are available in various colors, shapes and styles. Our diploma covers and plain diploma covers come in a range of exciting colors. These colors include the ever popular Black, Navy, Green, Royal Blue, Maroon and Red. The interior satin lining is in White moiré and the corner ribbons are either White or Gold. if you a looking for a more personalized fake diploma cover, this too can be arranged by clearly specifying your requirements. The diploma covers are available in different styles and shapes too, to match your diploma or degree certificate. The available styles to choose are ‘Tent Style’ for landscape oriented documents, where the cover flips open upwards. Another 2 styles are the ‘Portrait Style’ for portrait oriented documents and ‘Landscape Style’, for landscape oriented documents, where the cover flips open left, similar to a normal book. As for diploma cover sizes, we offer them in four standard sizes. They are; 6” X 8”, 7” X 9”, 8 ½” X 11” and 11” X 14”. All colors and styles are available for all sizes. The reason for having these different styles and sized diploma covers is that these are the standard sizes of diploma or degree certificates found anywhere. These certificates are printed according to these standard sizes for any high school, college or university. So you don’t have to worry about buying a diploma cover and finding out that it doesn’t fit the certificate you have. With our standard sizing system you don’t have to worry about anything. Diploma covers or Fake Diploma Custom Imprinted Covers does a dual role of protecting your diploma or degree certificates as well as projecting a very professional impression to others about you. So do not delay. Get your high quality diploma personalized cover today and make your future a success. If you are interested in other items relating to fake diplomas, you can browse our site to find more about fake diploma caps and gowns, and if necessary, diploma tassels or even fake diploma medallions to go with you fake certificates. If you are planning a party, why not use a fake diploma graduations invitations. No place to keep your graduation photographs? 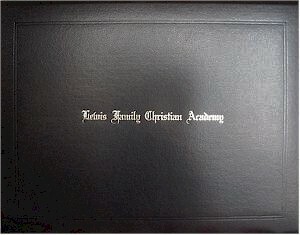 The why not get some diploma frames for your home or office.